When Mickey Bars just aren't cutting it. No matter how old you are, you never outgrow a trip to the happiest place on Earth: Disney World. 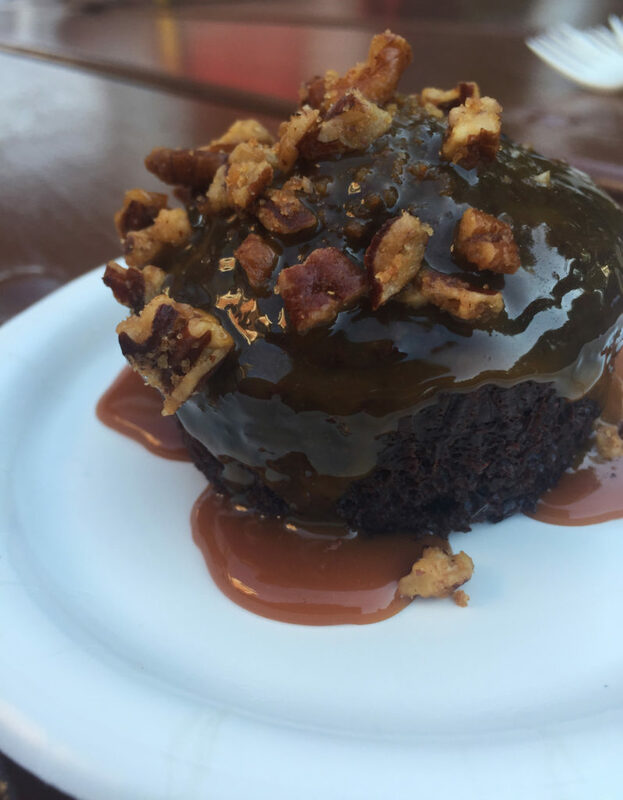 Disney is awesome for so many reasons and luckily, for Spoon, Disney offers a ton of drool-worthy eats. But hey, for those of you ballin’ on a budget or looking for a steal, we’ve got you covered. 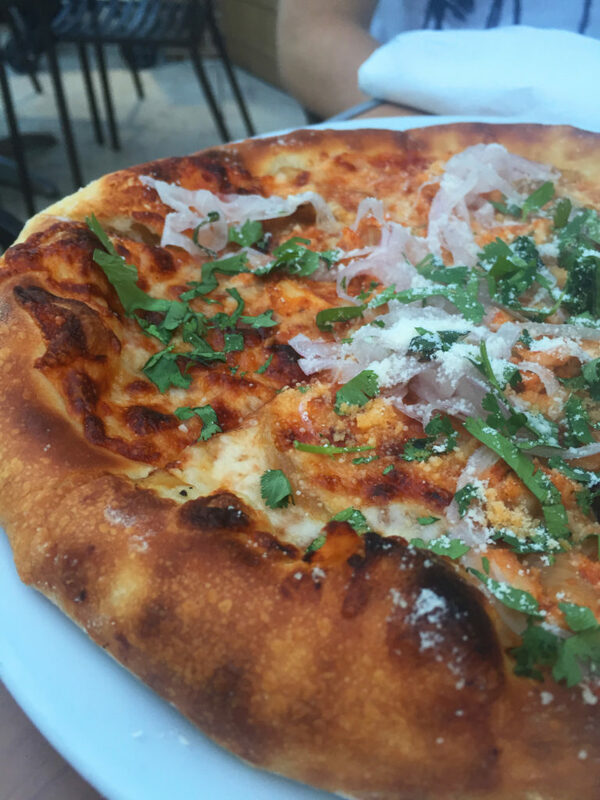 This is the list you’ve all been looking for: The 10 Best Cheap Eats in the House of Mouse. 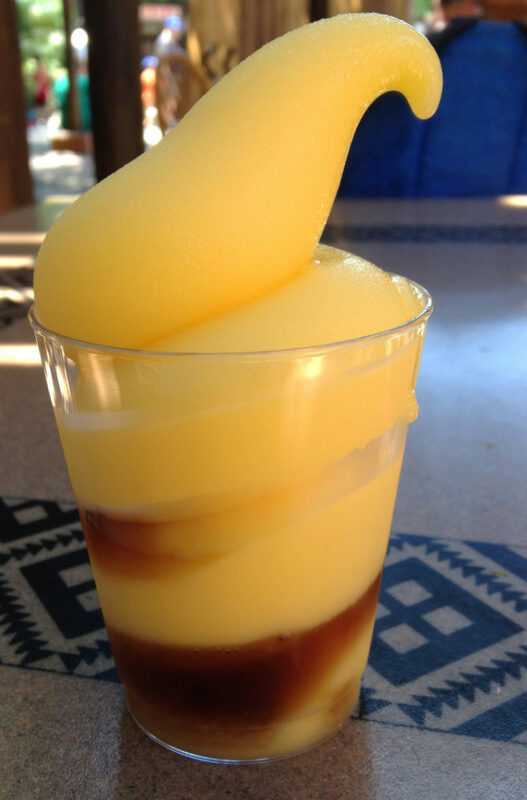 The menu says you can only get vanilla, but the staff gives you whatever flavor you want because who is getting a harsh no to anything in Disney? The single scoop is, I kid you not, half as big as your face. 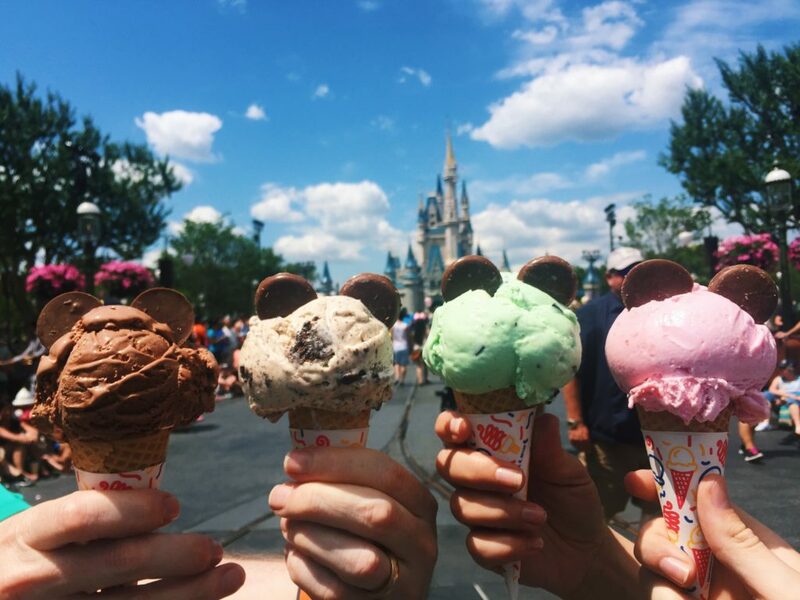 To make it even better, the ice cream comes with two pieces of chocolate to resemble Mickey ears. Seriously, it could not be any cuter. 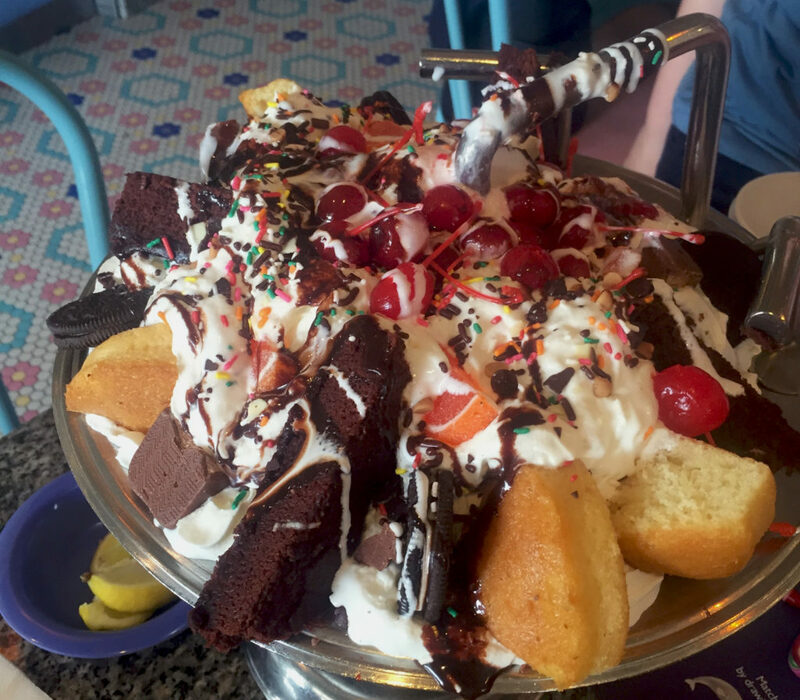 I can almost guarantee that if you’ve ever read about Disney’s food that you’ve most likely came across this gem. Now with the option to add coconut or dark rum to your pineapple soft serve, Dole Whip is for us big kids and parents too. If you aren’t drooling from the name alone, then there’s something wrong with your tastebuds. Magic Kingdom serves up a mean full-sized waffle dressed with Nutella, blueberries, strawberries and bananas. 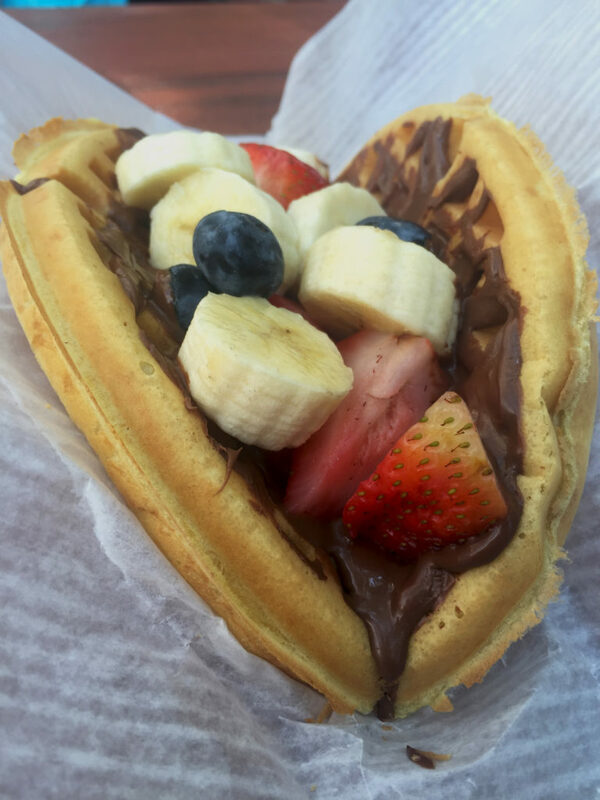 Did I mention this waffle is always hot off the press? 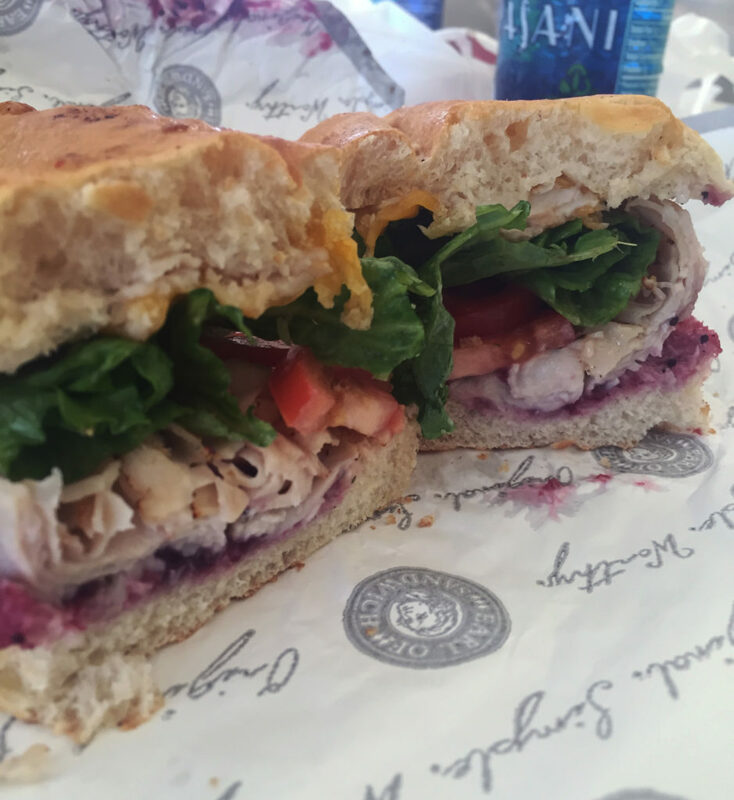 A good sandwich just can’t seem to be beat. Meat, cheese, ranch, cranberry, lettuce and tomato (could the list be any longer?) sandwiched between a bun crafted by the food gods is what you’ll be blessed with at “Earl of Sandwich.” Sounds like an A+ lunch to me. 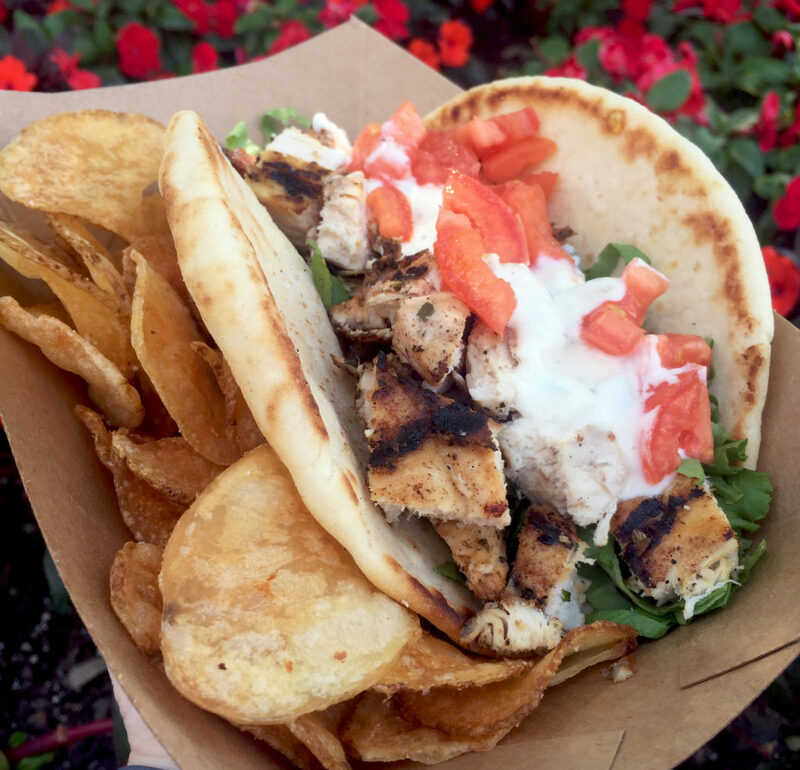 West Side Disney Springs has a new line of food trucks that have both curb and plate appeal. The lines at the trucks are basically non-existent, but the flavor is definitely present and accounted for. Chips are made in house and everything is made fresh to order. Sometimes you need a break from all the grease and sugar Disney has to offer. Disney’s Contemporary Hotel offers the perfect, healthy meal. 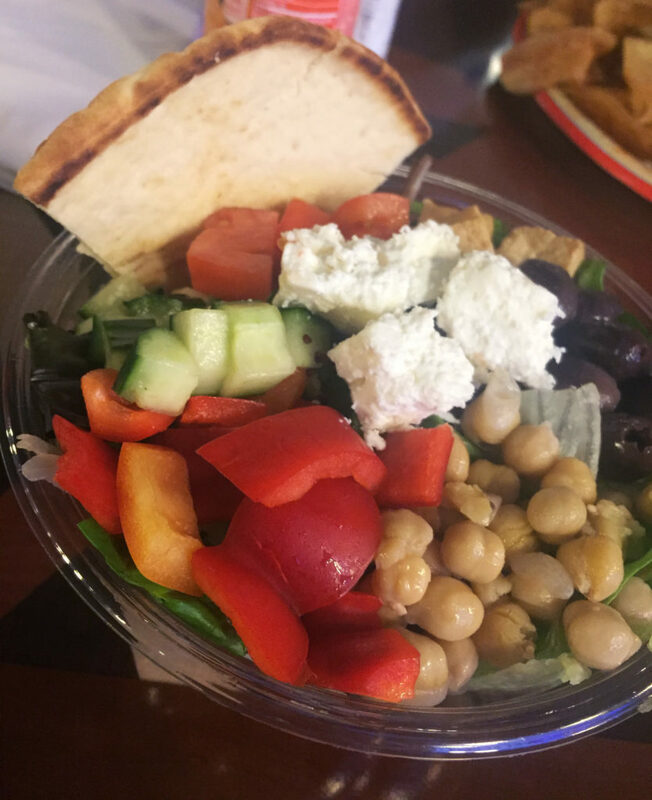 With just a short walk from Magic Kingdom, you’ll find the restaurant within the hotel offering a generous serving of some much needed veggies on this decadent salad. 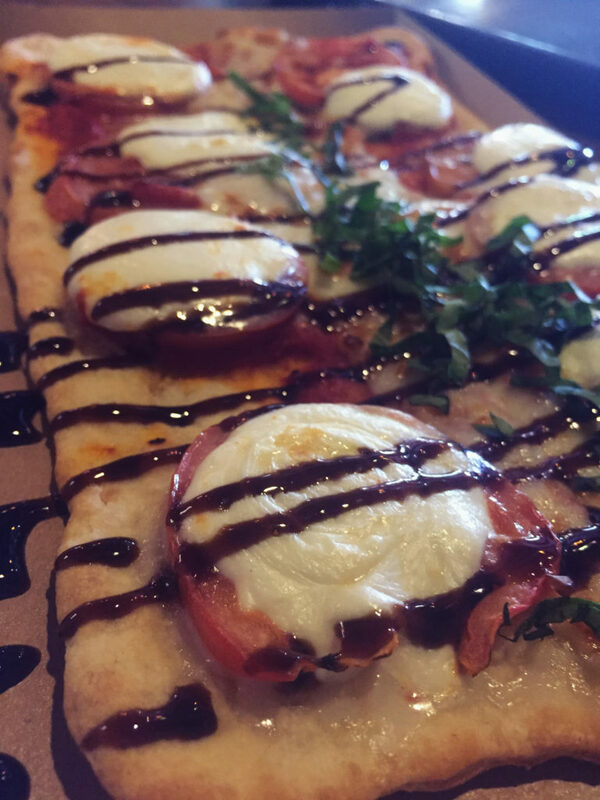 Aside from the pretty presentation, the Caprese Flatbread is most definitely the best bang for you buck. It’s about 2.5 slices of pizza in total and there’s tomato and basil on it, which means it’s healthy, right? As a member of the Culinary Hall of Fame, Wolfgang knows what’s up when it comes to cuisine. From pizza to chicken meatballs to butternut squash soup, you just can’t lose at this joint. Before you freak out about the price, let me give you the lowdown on what you’re getting: 8 scoops of ice cream, 2 cupcakes, 4 creme-filled cookies, a brownie, a full-sized candy bar and a banana all topped with peanut butter, fudge, marshmallow, pineapple, strawberry, chocolate and peanut butter morsels, jellied orange slices, crushed chocolate cookies, butterscotch, chocolate syrup, almonds, sprinkles, chocolate shavings, maraschino cherries and an entire bottle of whipped cream. How this one item doesn’t take up the whole menu, I don’t know.